The Inaugural Detroit 67 Youth Summit is a unique, one-day experience designed for high school students throughout Metro Detroit to: unpack and understand the significance of the events surrounding the history the July 1967 uprising, reflect on its relevance in their daily lives, and gain important insights/tools to take action in their community as leaders. The Youth Leaders Panel Discussion: Creating Spaces for Young People in Community, Arts, & Culture - co moderated by Lauren Hood and youth leader/Detroit Design 2067 Alumni, Jeremiah S.
The new Detroiters Take A Stand Scavenger Hunt and much more! For more information: contact Kalisha Davis, Director of Community Outreach & Engagement by email: kalishad@detroithistorical.org or phone: 313-833-4306. As a part of their registration, youth participants are also asked to submit their answers to this Google Survey. A Note for Parents, Teachers, Youth Advocates: This event is the second in a series of three youth-driven programs designed to equip young people as thought leaders and change agents in Detroit. 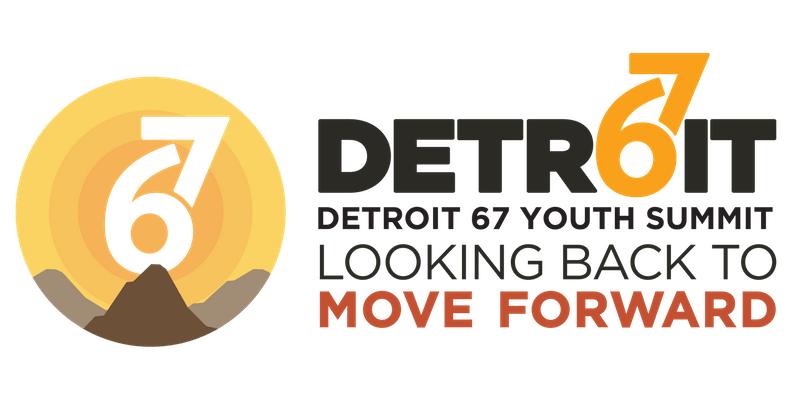 The first was the Detroit Historical Society’s popular Detroit Design 2067 Youth Immersion & Leadership Development Program offered in April 2018. The third, is the Youth Advisory Council that DHS will launch October 20, 2018. DHS will recruit for the advisory board during the Youth Summit, as well other relevant programs. For more information visit our Website. With special thanks to our Presenting Sponsor, Lear Corp.